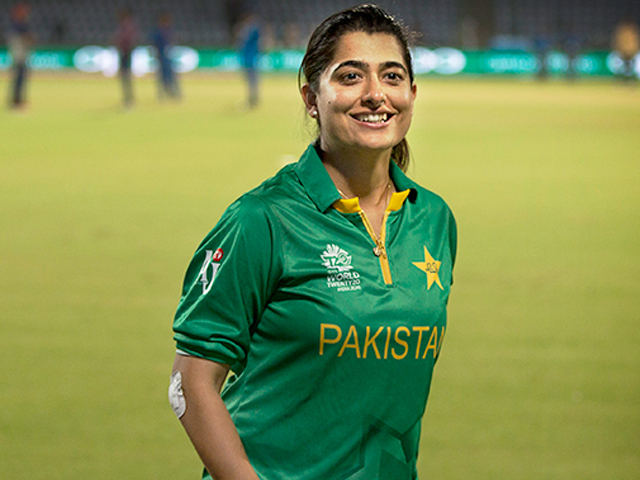 DUBAI: Sana Mir made it to the top five spots in the ICC Women’s ODI Bowling Rankings. The Pakistani spinner was placed at No.4 in the rankings. Jess Jonassen of Australia was at top followed by Megan Schutt (Australia) and Marizanne Kapp (South Africa) at No.2 and No.3 respectively. Jhulan Goswami (India) was at fifth place and Shibnam Ismail (South Africa) was placed at sixth place. Stefanie Taylor (West Indies) was at seventh spot and Anya Shrubsole (England) took the eighth spot in the rankings. Dane van Niekerk (South Africa) and Ellyse Perry (Australia) was at No.9 and No.10 in the rankings respectively.